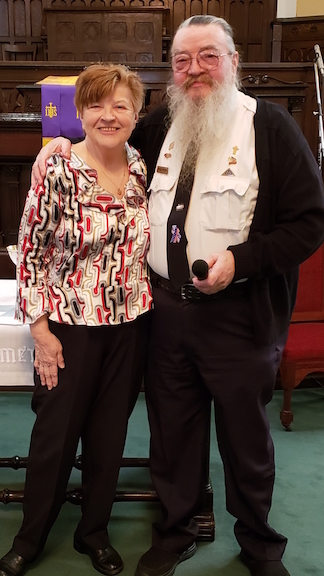 Pictured are DAR member Charleene Tarr, left, and Community Service award winner Gerold Wilkin. 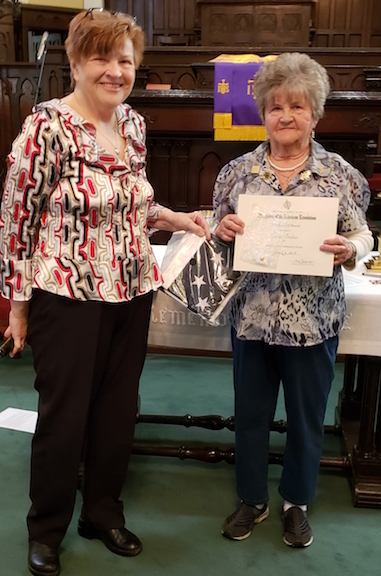 DAR member Charleene Tarr, left, is pictured with Community Service award winner Luise Curtis. 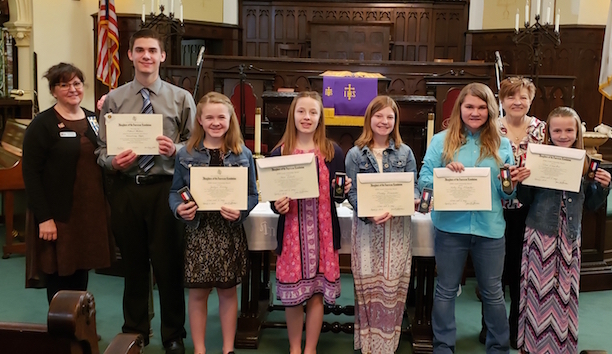 The Waw-wil-a-way chapter of the Daughters of the American Revolution held their annual awards ceremony on Saturday, April 6. Award recipients, their families and DAR members enjoyed a luncheon by hostesses Rosemary Ryan, Kathleen Fuller and Charleene Tarr. • Community Service award winners Luise Curtis and Gerold Wilkin. Also congratulated were Emma Lerch, who was presented as a DAR Debutante, and Cara Pfieifer, who graduated from the New Horizons Leadership Course at the OSDAR State Conference on March 29-30 at the Dublin Marriott.